If you have problem with intermittent power interruptions and unreliable supply quality, or your are too far away from the power grid, bringing the power generator closer to you is the best solution. 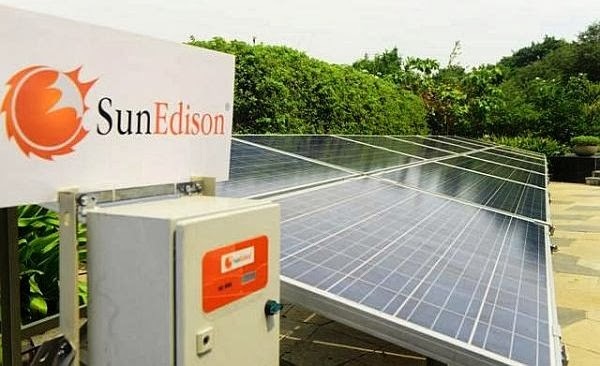 In India, a specially designed high performance solar-powered water pump was recently launched by SunEdison meant for agriculture purpose. Featuring rugged structural design, pumps are available in 3HP (horsepower), 5HP, 7.5HP and 10HP variants. Designed by R&D teams in California and Bangalore, the latest innovation is claimed to be a perfect solution for farmers who need year-round cultivation and predictable daytime irrigation. There are about 26 million irrigation pumps in India and of this, about 8 million run on diesel power with the rest using grid power. The solar powered pumps will enable farmers to grow cash crops that require predictable irrigation and more importantly, they will be able to utilize land that they previously could not irrigate. The solar pumping systems are designed to be rugged, and provide best-in-class performance. It is fitted with high-efficiency 3-phase AC pump complete with pump controller, VSD. Rugged industrial design ensures reliable performance in the most adverse operating conditions and ensures reliable and safe operation for over 15 years, while allowing for easy maintenance. The solar water pump will cost around Rs 6 lakhs (RM30,900) which is quite expensive for the rural poor but with some innovative partnership between interested business organisations and the government, this should be made affordable to many. 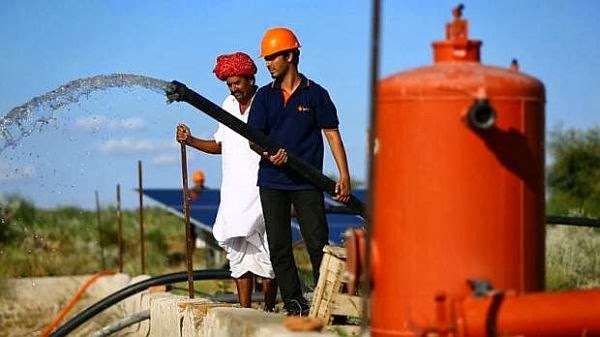 TheGreenMechanics: The report mentioned that the company has already installed 250 such systems across India, and that the next generation of the solar pumps, which the company is planning to launch, would supply power to farmers' houses as well. This is indeed a great intended progression of such initiative. No household should be deprive of power, not even those in the rural area. These pumps can help in finishing expansive scale pumping work in couple of minutes. Aside from their utilization in lifting diverse sort of gooey fluids starting with one point then onto the next, they can be utilized for the support of hardware and car applications. As pumps in commercial ventures are utilized as a part of performing complex occupations, they are required to meet modern quality models before getting affirmed for use.